The Wii U in my house has become a family console. It started as mine, but now it's definitely ours as a family. My kids play it more than I do, and I'm fine with that. It's really cool to see my 2 year old and 4 year old playing Mario together. Because my daughter uses the Wii U often, she sees all the ads Nintendo distributes to the console. She just had her first game that she was excited to wait for the release date. 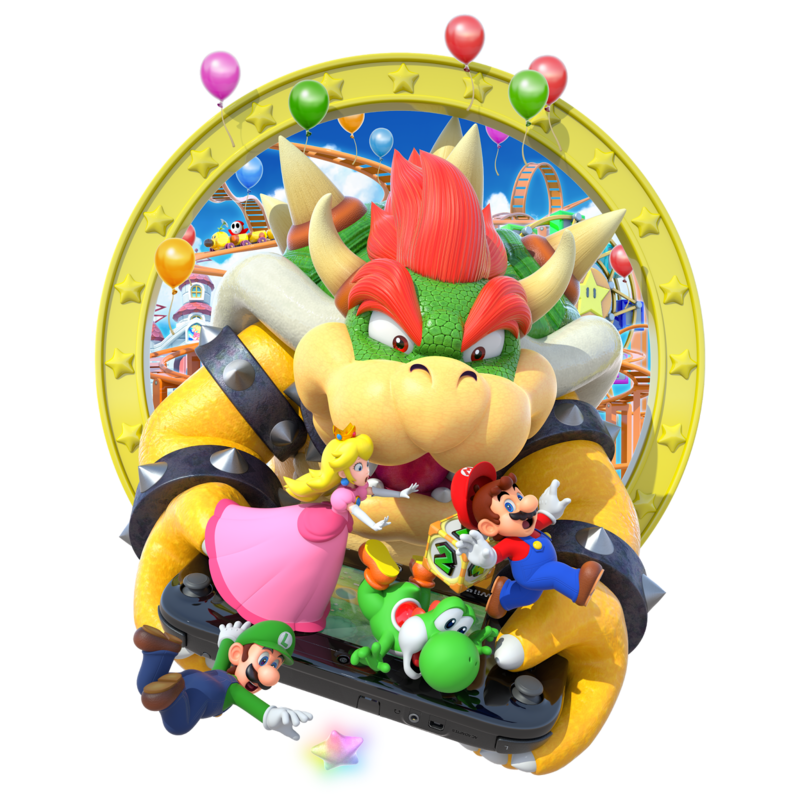 If you couldn't already guess, it was Mario Party 10! As a parent, it was really fun for me to watch her get excited for a game release. I know the feeling of being the one excited for the game, but it's really fun getting that enthusiasm by proxy through her excitement. We've been playing it almost every day. Every member of the family has gotten involved. Sometimes my kids sit on the couch and play together, sometimes it's one of them and one adult, sometimes it's all four of us. It's so much fun to have a game that we can all get invested in! My wife and I have even discovered a new level of difficulty in Mario Party. It's called, "Try to make the 4 year old win despite her erratic play style and the unforgiving computers" Granted... we could work on shortening the name of that difficulty level, but I find it fairly descriptive. If you look at the reviews for this game you'll see that it's derivative, with nothing new to offer, and not worth your time or money. Those first two might be correct, but in our case it was definitely worth our money! It's fun to get so much enjoyment out of a game that critics have already written off as "bad". the twins being 2 just like watching youtube videos but I am sure they will follow their older bro's footsteps sometime soon. What platform does your 5 year old play minecraft on? I've played it with my daughter a handfull of times but it hasn't really stuck yet.